When deciding whether an IPO is the right step for your company, you may want to consider other alternatives to going public such as a direct listing. A direct listing, also called a direct placement or direct public offering (DPO), is an innovative alternative to a traditional IPO. In a direct listing, a company becomes public by listing on a stock exchange without selling shares directly to the public. Once a company’s shares are listed, current shareholders, such as owners, employees and venture capital firms, can choose to sell their shares on the exchange. This article describes a recent example of a direct listing and then examines the advantages and disadvantages of a direct listing in comparison to the traditional IPO process. Before the high-profile direct listing of Spotify in April 2018, direct listings were a relatively unutilized and unknown path to becoming a public company. In fact, MarketWatch identified only 11 direct listings in the 20 years prior to Spotify’s direct listing1. Spotify was attracted to a direct listing because the company was not in need of additional capital and management believed that the process was more fair and transparent than a traditional IPO. As a well-known brand used by millions of people, Spotify did not require as much publicity to make potential investors aware of its listing. Despite these advantages, Spotify was worried that trading would be highly volatile without an underwriter to stabilize prices. The most important events related to Spotify’s direct listing are noted on the timeline below. Because direct listings are uncommon, the process was not well defined. First, Spotify had to ensure that it met the listing requirements of its chosen exchange—the NYSE. The NYSE had to propose a rule change with the SEC to allow Spotify’s direct listing. The rule change specified that the NYSE could list a private company’s shares solely on the basis of a recent third-party valuation of at least $250 million. After receiving confirmation that the direct listing would be allowed, Spotify publicly filed the foreign equivalent of the Form S-1 (Form F-1) on February 28. This form includes most of the same information required by an S-1 in a traditional IPO. Instead of a roadshow, Spotify hosted an “Investor Day” on March 15 to educate investors about the company. Spotify also issued earnings guidance on March 26 and waited a week to list, letting the information season with investors. 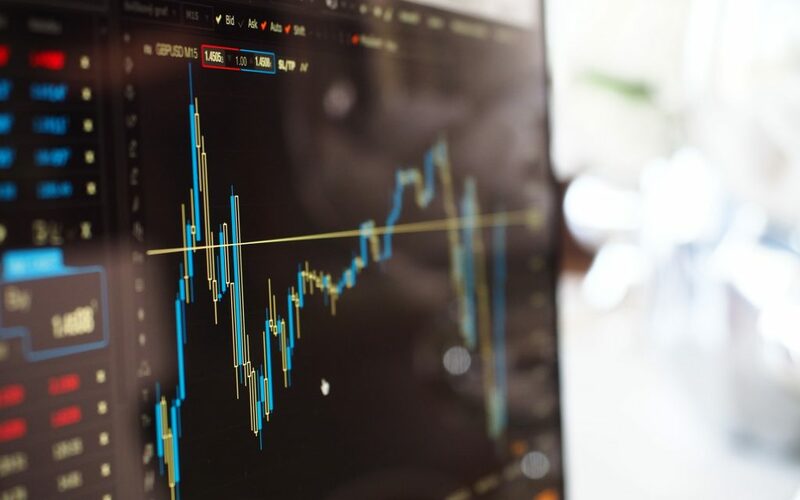 Trading began on the NYSE on April 3 and experienced much lower levels of volatility in the weeks following the direct listing than was expected. After price discovery during the morning, shares opened at $165.90 and closed at $149.01, up 12.8% from the initial reference price of $132.00. While Spotify’s direct listing was successful, it may not be the best option for other companies. The following list of advantages and disadvantages can help your company determine whether a direct listing is right for you. As Spotify’s direct listing demonstrates, there are many advantages to a direct listing. Compared to a traditional IPO, a direct listing has no dilution of ownership, is less expensive, does not generally include lock-up agreements, can be executed more quickly, and is viewed as more fair and transparent. Because no new shares are offered during a direct listing, there is no dilution of ownership. This feature is especially advantageous for companies that are not in need of capital, but who want to be publicly traded. Less dilution also allows founders to maintain more control over their company and capture more of the benefit of increased company value. Another advantage of a direct listing is that it is generally less expensive than a traditional IPO. Underwriters in traditional IPOs generally require a fee between 3 and 7 percent of gross proceeds. While a company will still utilize financial advisors to assist in the direct listing, the cost of those fees is much less than in a traditional IPO. The savings on underwriter fees can be used to fund new projects and increase growth which will increase the value of your company. Additionally, traditional IPOs have historically experienced between a 10 and 20 percent increase in share price on average in the first day of trading. This increase in value is captured by the underwriter and institutional investors who purchase shares before they are publicly listed. In the case of a direct listing, this increase in price is captured by current shareholders. Both a traditional IPO and a direct listing provide liquidity by allowing shares of the company to be traded on an exchange; however, traditional IPOs generally have lock-up agreements. These lock-up agreements prevent certain shareholders from selling their shares, typically for 180 days after the IPO. The purpose of lock-up agreements is to decrease volatility by limiting the supply of stock and to ensure that the incentives of management remain aligned with the performance of the company. In contrast, direct listings have no lock-up agreements, meaning that founders, employees, and early-stage investors can begin trading their shares immediately. While the absence of lock-up agreements could cause the incentives of management to become out of line with the company’s best interests, many argue that the overall direct listing process is more fair and transparent than a traditional IPO. In a traditional IPO, only large institutional investors are able to purchase shares directly from the underwriter. Additionally, the underwriter can engage in certain price stabilization activities (some of which will be described in the “Potential Volatility” section below). In a direct listing, everyone has an opportunity to sell or purchase shares from the moment the company’s stock becomes available for trading, and the market sets the price without price stabilization from underwriters. Many proponents of direct listings argue that this process is more fair because retail investors have the same opportunity as large institutional investors to buy and sell shares. The process is also considered more transparent because the market sets the price instead of the underwriters. While there are a number of advantages to choosing a direct listing over a traditional IPO, there are also some disadvantages. Compared to a traditional IPO, a direct listing does not provide additional capital, does not provide a relationship with an underwriter, could result in higher volatility, and reduces company exposure to large investors. Unlike a traditional IPO, a direct listing does not raise any additional capital. Therefore, a direct listing is not the best option for companies that need additional capital to grow and capture market share. Companies could still choose to execute a secondary offering in the months after the direct listing in order to raise capital, but in that scenario, the funding would not come until after becoming a public company. While companies considering a direct listing can bring on an investment bank or other consultants to assist with the listing, they lack the benefits of a close relationship with underwriters. The underwriter relationship can be advantageous for a company preparing to go public because underwriters can help increase interest in the company’s stock and provide guidance during the IPO process. When a company receives backing from a reputable underwriter, it increases the company’s credibility, which helps increase demand for the company’s stock. In addition to providing credibility to your company, underwriters have close relationships with institutional investors, which makes it easier to market your company’s stock. Both the relationship with underwriters and the roadshow in a traditional IPO help new public companies market their shares to large investors. This contact can be advantageous because it can increase and help gauge demand for the company’s shares. While Spotify’s position as a leader in the music streaming industry gave it widespread exposure to large investors, other less-known companies do not have that advantage. For those companies, the opportunity to market their shares to large investors through the traditional IPO process can raise awareness about the company and increase demand for shares. Without this awareness, the stock may not be traded at a sufficient volume, and a liquid market may never develop. Additionally, a direct listing gives the company less control over its mix of investors than in a traditional IPO. For more information on how a traditional IPO allows a company to select its mix of investors, and why that is advantageous, see our article Day of the IPO—Pricing Your Offering. While the underwriter relationship is helpful leading up to an IPO, it is especially advantageous once your stock begins trading. In a traditional IPO, the underwriter can engage in certain price stabilization activities in order to decrease volatility and prop up the price of the stock. For example, Greenshoe options allow underwriters to purchase up to an additional 15 percent of shares from the company if demand exceeds supply. Alternatively, the underwriter can repurchase shares on the market if supply exceeds demand. Both actions help decrease the volatility of the stock price in the days and weeks after the IPO. Because a direct listing does not have this safety net, the stock of a company that directly lists to an exchange could be extremely volatile in the days and even months after listing. Spotify warned investors about this possibility in its F-1: “The public price of our ordinary shares may be more volatile than in an underwritten initial public offering and could, upon listing on the NYSE, decline significantly and rapidly.” While Spotify’s stock did not experience this projected volatility, it remains a concern for companies that are considering a direct listing. Although this article has discussed the differences between direct listings and traditional IPOs, it is important to understand that many offerings do not fit perfectly into either category. The matrix below shows how a traditional IPO and direct listing differ based on the level of underwriter involvement and the importance of raising capital. For now, Spotify is the only company that fully fits into the bottom-left of the direct listing quadrant. Apart from Spotify, almost every direct listing in the last 20 years has not been a “pure” direct listing. However, other companies have expressed interest in pure direct listings. For example, in January 2019, Slack, a business messaging platform, was rumored to be considering a direct listing. If Slack follows through with these plans, and the direct listing is successful, other companies may feel encouraged to consider a direct listing more seriously. In most cases, the other companies that directly listed on an exchange had raised a private round of funding that included an agreement that they would list on the Nasdaq within one year. This allowed the companies to receive funding more quickly than in a traditional IPO, while also allowing for shareholder liquidity once the shares were listed. 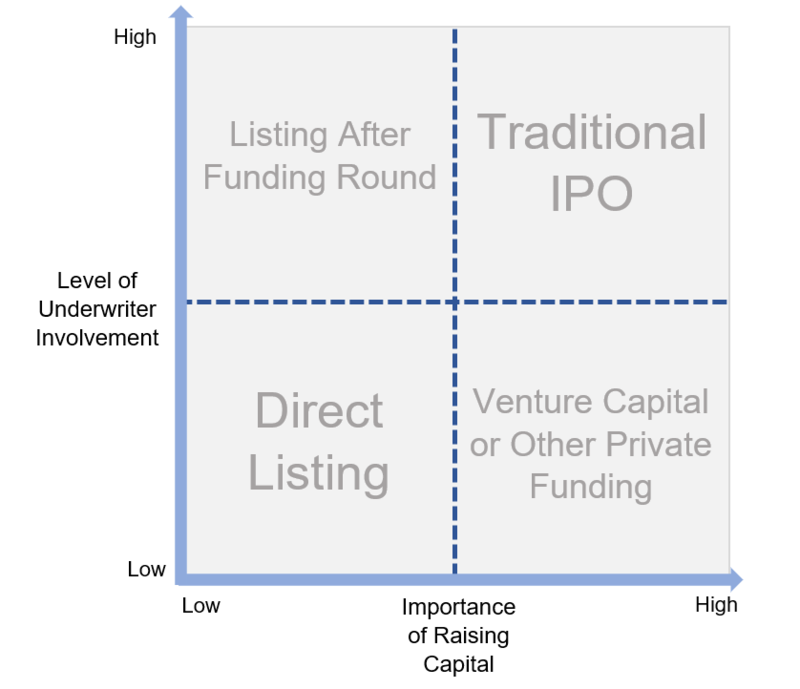 Because underwriters were heavily involved in the private placement process, and the purpose of the offering was to raise capital, these direct listings fit best in the top-left quadrant of the matrix. If your company needs capital, but is not ready for a traditional IPO, then continuing to use private capital markets such as venture capital may be the best option for you. Many startups are staying private for longer periods because they can avoid the high costs of traditional IPOs and still obtain funding from venture capitalists or other private markets. Most companies go public through a traditional IPO because they need capital and do not have the connections to find investors without underwriter assistance. For these reasons, traditional IPOs are generally the best option for smaller companies that do not have substantial brand recognition. Alternatively, when Facebook took the traditional IPO route to going public, it was not in need of capital, had high brand recognition, and did not need much underwriter involvement. Therefore, Facebook’s IPO fits closer to the direct listing quadrant of the matrix. Because your company’s needs will be unique in terms of underwriter involvement, the importance of raising capital, and the other issues discussed in this article, you will want to carefully consider where you fall in the matrix. While a traditional IPO is the tried and true method for going public, you should also consider a “pure” direct listing, a round of private funding followed by a direct listing, or additional venture capital or other private funding. You should also consider other IPO alternatives. This article has highlighted several advantages and disadvantages of a direct listing. For the most part, Spotify benefited from these advantages and avoided the disadvantages. While Spotify’s success demonstrates that a direct listing is a viable alternative to a traditional IPO, it may not be the right path for your company. 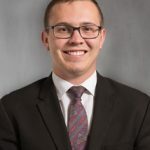 Your company should consider the benefits and costs of underwriter relationships, your funding needs, dilution to current stockholders, and the other factors discussed in this article. Overall, your company should consider every option, including a direct listing, when choosing the right method for going public. See the final section of this article for more information on these direct listings.